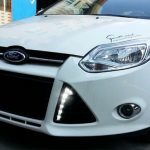 Here I want to share this method too repair your Ford Focus Dat busted DSI chip. I have just fallen victim to the infamous busted DSI Clip. The part costs $9 bucks and wont be available till Sept…mine is on order. Other than that, you can buy a whole new $260 manifold to get the $9 part. 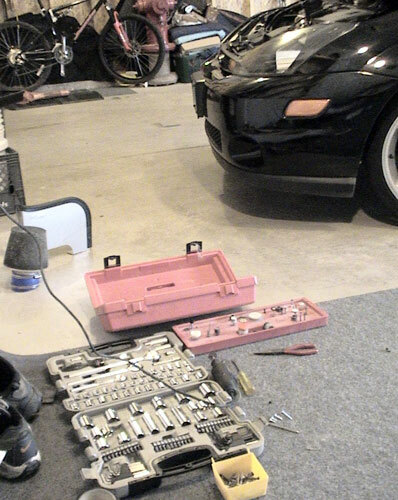 First thing is first….grab your tools and take out your intake. 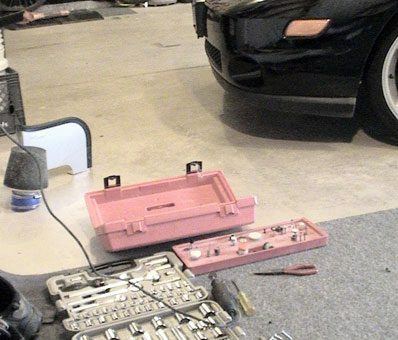 If it is stock, you will need to take the entire box out…open it up, take out the filter, unbolt it from the car and pull it up out. 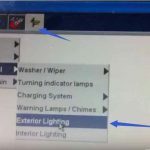 You may also want to take the MAF off the side of the box as well to help keep it out of your way. Amongst a set of sockets and a screw driver or two, you will also need a dremmel or drill, a set of pliers/vice grips/vice…..I used a pair of needle nose pliers. 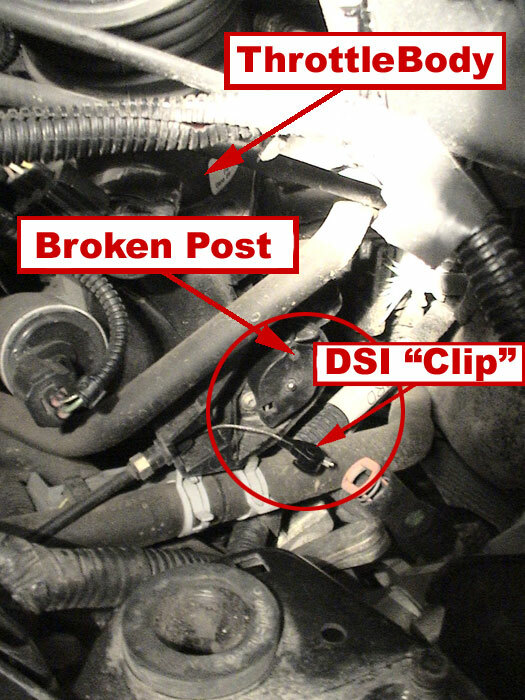 Once you have that outta the way, stand on the drivers side and look down in at the side of your manifold, right around where the Throttle Body sits…you should see the DSI “Actuator” and a dangling cable w/clip. 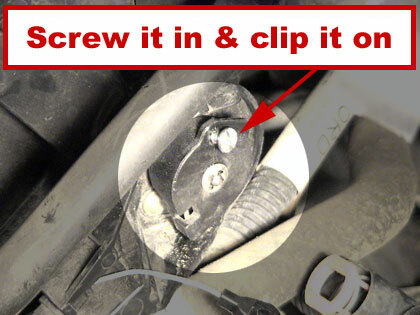 You should see a dot at the top of the actuator, where the post once was….the clip snaps onto the actuator right there. 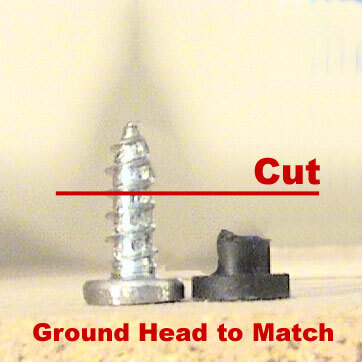 Now grab that screw with a pair of pliers/vice grips/vice and grind it down with a dremmel so that the head of the screw matches the same diameter and thickness of the posts head….go a little at a time and check to make sure it fits snug, not loosely, into the clip. 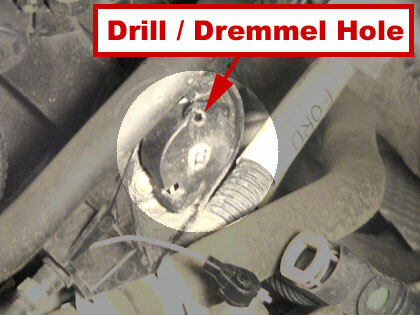 If you dont have a dremmel, you should really buy one..they rule. 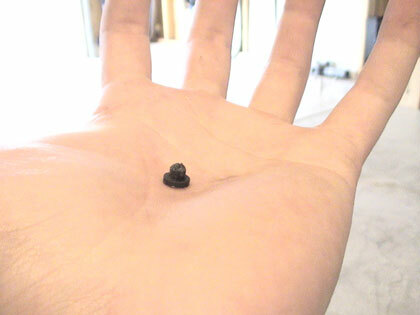 But you can put the screw into a drill chuck and use a file to “lathe” it down. 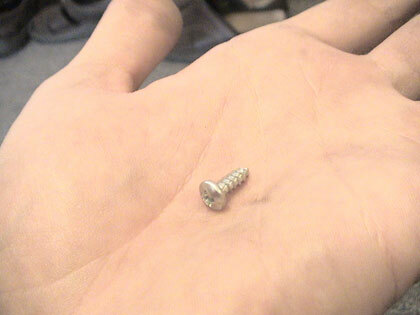 Aight, now you gotta go back to the actuator and pilot a hole for that screw…and make sure its not a bigger hole than the the screw with wide…duh. I used a dremmel cause it fit nicely in there and I didnt have to try to wiggle that actuator out of its home.